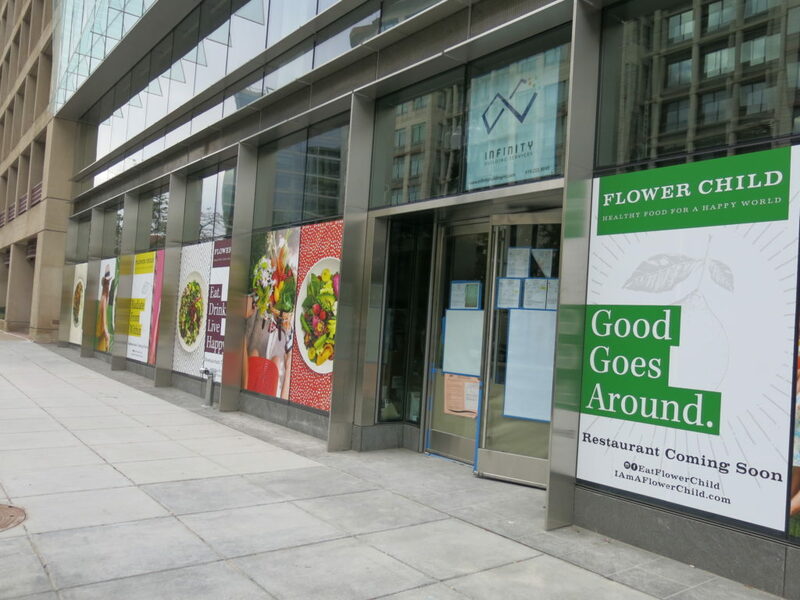 “Flower Child, the wellness-centric, fast-casual eatery from restauranteur Sam Fox, is set to open its first location in the nation’s capital on February 4. Located in Foggy Bottom, the colorful eatery will offer nourishing food in a positive vibes-only environment, with a menu devoted to bites like soups and avocado toast, bowls, wraps, grains, greens, organic wine, beer, kombucha and a large variety of vegetarian, vegan, and gluten-free options. Flower Child’s salads, whole-grain wraps, and bowls are full of seasonal ingredients prepared from scratch. Power-packed proteins like all-natural chicken, sustainable salmon, grass-fed steak, and organic Non-GMO Tofu can be added to any salad, plate or bowl, and Mix’n’Match plate options allow guests to select their favorite combination of seasonal vegetables, fruits, and grains. In addition to the grand opening, Flower Child is looking to hire more than 80 employees for its new Washington location. The healthy fast-casual restaurant will host a job fair from Monday, January 14 to Saturday, January 19 and Monday, January 21 to Saturday, January 26 from 10 a.m. to 6 p.m. each day at 2112 Pennsylvania Avenue NW, Suite 101, Washington, DC 20037. Applicants should bring their resumes to be considered for multiple positions including prep cook, line cook, cashier, fast casual server, and dishwasher. On-site interviews will be offered.